It's hard to imagine Gossip Girl will be 10 years old later this year. 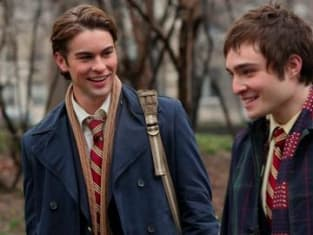 We at TV Fanatic are huge fans of the popular CW series and thought it would be a great idea to throw it all the way back to Gossip Girl Season 1 Episode 1 to review it all again from a new perspective. 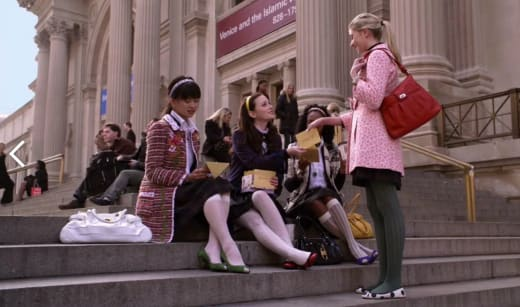 With time passing, TV shows tend to age, but if Gossip Girl managed to somehow cut out all of the cell phone scenes, it would be a timeless series. It's definitely one that will be good to show the younger generation of today how awful cell phones were back then. That was back when Blockbuster was still a thing, and Netflix did not have TV shows and movies available to stream. If you wanted to rent something, you either had to go to a store or have it mailed to you. I'm 25-years-old and writing that last part definitely added a few wrinkles and gray hairs. Okay, let's get to it. It felt so nostalgic watching that first scene, being introduced to Serena and Dan all over again. They may be married now, but boy, did they have a lot of drama in their lives before they got to that point. There's also the issue with Dan being Gossip Girl now. We'll save that chat for another day, but forgive me for not being on board with it. Logically, it just made no sense. So, Serena Van Der Woodsen is back on the Upper East Side, which can only mean one thing: Nate Archibald is practically drooling over her, while poor Blair Waldorf can only muster a few eye-rolls as she tried to bed her boyfriend before he found his way back to Serena. If only she knew neither of them would end up with Nate in the end. Oh, the drama. Blair was desperate to lose her virginity to Nate because she was so worried about him leaving her. Blair had a reputation for being an Ice Queen, but she went through a lot of crap in her earlier years. Her best friend disappeared without a trace after her, and her life fell apart because of her parents parting ways. Blair needed Serena, but little did she know Serena had gotten hot and heavy with Nate while Chuck watched from afar. There were some other reasons, which involved drink, drugs, Georgina Sparks and a dead body, but right now we're not meant to know any of that. Despite Serena trying to befriend Blair, I can't help but feel sorry for Blair. Serena was her best friend, and there was no way she was going to let Serena just immerse herself back into the clique without a fight. There's nothing Gossip Girl does better than having Blair and Serena embroiled in crazy power struggles. The two young women had enough wit to give Lorelai and Rory from Gilmore Girls a run for their money. Throwing it back, it's difficult to watch Chuck. He comes across as such an unlikable dude. And I never expected him to stick around, but as someone who would randomly disappear after appearing only briefly. Without the very tentative connection between him and Blair, he would not have stuck around for as long as he did. Pursuing Jenny Humphrey in the manner he did was not cool. I grew to hate Jenny later in the series, but it's certainly refreshing to remember that she was an innocent young girl one day. Dan and Serena's first date was a resounding failure. I couldn't help but cringe watching the scenes again. The only thing that added a spark to it was the text messages from Jenny to save her. One thing that will never get old about Gossip Girl is the dialog. All of the zingers being fired around are as quotable as ever. Blair: You can go now. 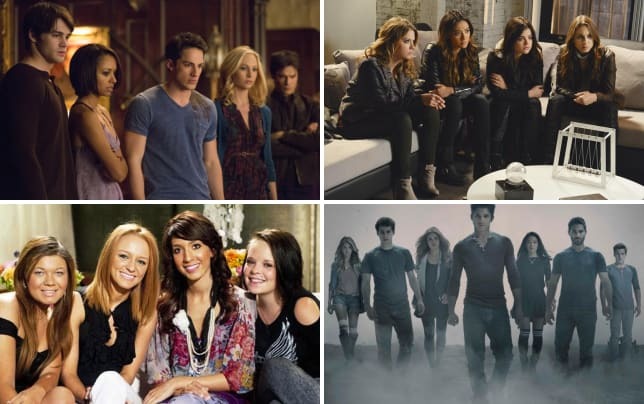 The storylines with the adults were not all that, but we know they heat up pretty quickly, so we'll have plenty to discuss in the coming reviews. Over to you, Gossip Girl Fanatics. What do you think about the pilot after all this time? Sound off below. Want to watch along with us? Remember you can watch Gossip Girl online right here on TV Fanatic. If you've never watched, you're in for a treat.